Steve Saunders Goldwing Forums > Vendors > WingStuff.com > Looking for A Last Minute Gift Idea? It's easy to procrastinate when it comes to, well, anything in life really. But during this time of year I'm sure it happens to all of us at one time or another. 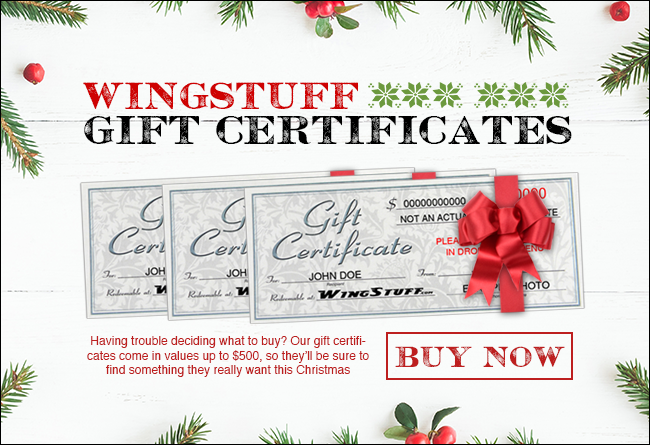 Give your loved ones a little "nudge" and drop a hint that you'd love the gift certificate that allows you the freedom to be able to buy Every Thing for Your Wing! Click below to Buy Now.